Cilantro is most often cited as being effective for toxic metal cleansing. Cilantro herb contains no cholesterol; however, it is rich in antioxidants, essential oils, vitamins, and dietary fiber, which help reduce LDL or “bad cholesterol” while increasing HDL or “good cholesterol” levels. Its leaves and seeds contain many essential volatile oils such as borneol, linalool, cineole, cymene, terpineol, dipentene, phellandrene, pinene and terpinolene. 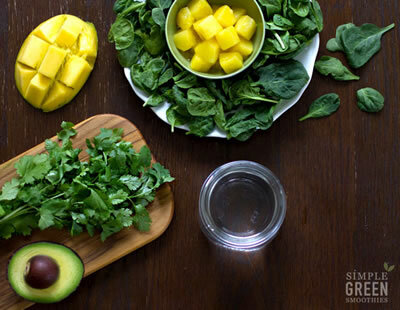 Try this Healthy Recipe Cilantro Mango Detox at home.